Agaricus crocodilinus is similar to Agaricus frustratus (formerly Agaricus arvensis) in having a cog-wheel veil. The white cap, however, doesn’t yellow and the base of the stem is not smooth, but has small scales. Its gills do not go from white to pink to brown as the spores mature, but go directly to brown. Its spores are also larger than that of Agaricus frustratus. 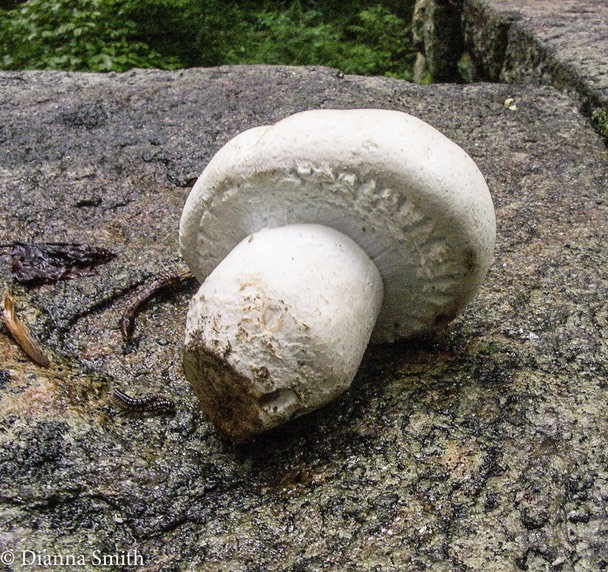 Like other Agaricus species, it is saprotrophic, appears in late summer and fall in grass, gardens and woodland edges.